When I walked in the door last night, Memphis was lounging on the couch. She immediately got up, mewed, and ran over onto a chair near where I was standing. When I picked her up, she sniffed my face all over and rubbed her head up against me. It was awesome. 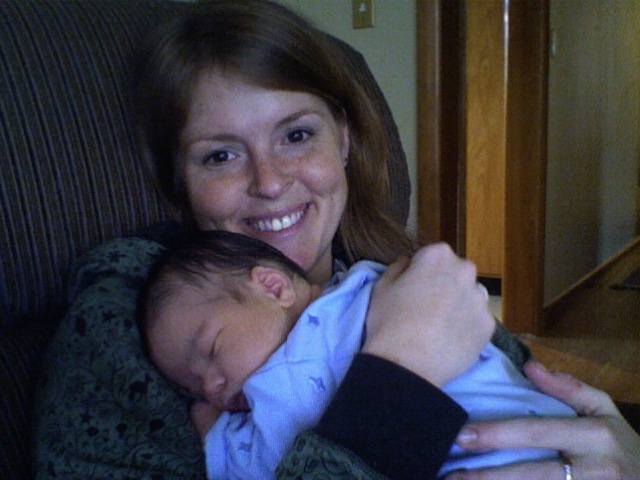 I have to say, though, I miss the night shift and holding the lovely-smelling baby Charlie. And my family in Waterloo. I can't yet articulate what a profound effect the past week had on me. I'll give it a try someday soon. For now, look at this picture and try to get your hands (or at least your nose) on some baby lotion.